After many years of planning, we rented our home, got rid of a lot of our “stuff”, put the rest in storage and moved into our 39′ Class A diesel motorhome, Island Girl. 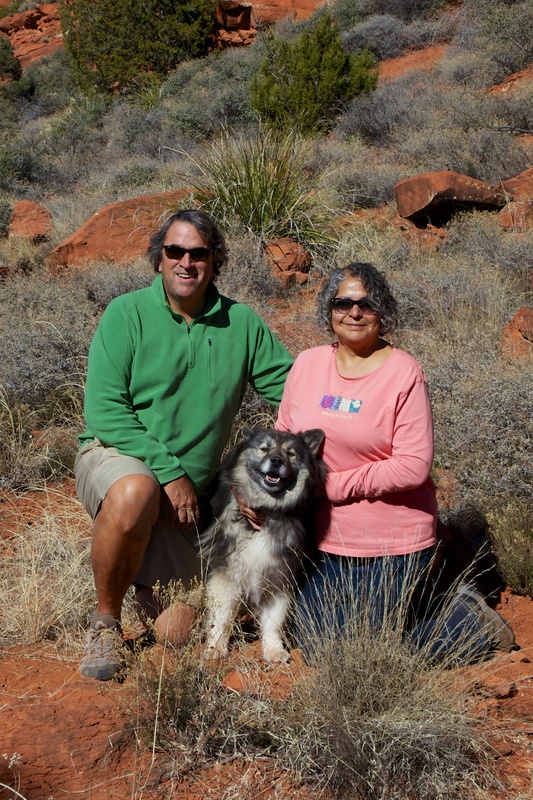 The two of us have been “on walkabout” since October 2012, traveling around this beautiful continent with our wonderful dog, Angel. We hope to find the perfect community in which to establish our next home along the way. We welcome you to come along on our journey as we share travel experiences along with Hector’s beautiful photography. Along the way, we’ll include some “RV stuff” – information about RV’s and the fulltime RV lifestyle for those who may be interested in it, already doing it or just curious about it. We are very grateful for all we’ve learned through reading other RVers’ blogs and hope that some of our experiences are interesting and useful to others. We absolutely love to get comments, so please let us hear from you. Just stopped by after your meet up with Mona Liza and Steve. I look forward to exploring more of your blog AFTER my hike in Colorado’s San Juans this morning. Welcome, Ingrid. I’ll be checking out your blog as well. Happy hiking! Welcome, Maureen! The header photo is just outside Taos, New Mexico, one of our favorite places. I just checked out your blog and you have beautiful photos! Thanks, Brenda. Happy trails to you as well. My wife and I are planning to be on the road by the summer. I wanted to ask what type of camera and lens you use in your photo’s, they look like they are professionally done, speaking from an amature photographer. Welcome to your new home! Excited for year 2 tales and shots. Godspeed, Amigos! You are a beautiful couple!!!! My DH and I can’t wait to do what you are doing! Happy travels! Thank you so much! We are so enjoying our travels, hope you get to do it soon!